Hope you all enjoyed a great weekend! Similar to the Genie Lamp I stole for $8.99! Shown here from the home of super-stylish Seleta, the exact Genie lamp I found. They're both perfect candidates for updating with a coat of paint. dining room and needed a lamp for the buffet, I'll let you know which she chooses! 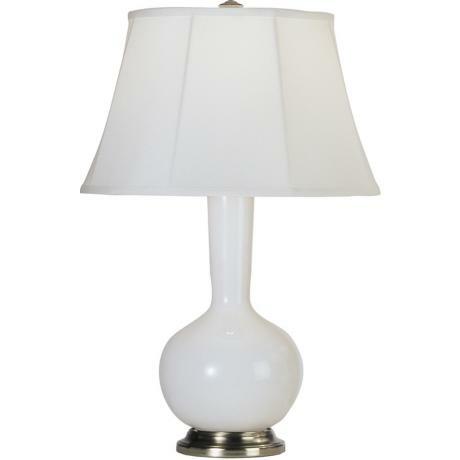 You got a great deal on both lamps. I love the genie one the most, although the square one with a fresh coat of paint is also great. Our goodwill would sell those for 25 to 30 dollars a piece. I don't understand why if the stuff is donated for those who can't afford the real deal. The Target lamp I bought and made over looks like the gourd shaped one you found. Two killer scores. Ohh, I love them both and can't wait to see how you will paint them! Good eye Pam! I love the shapes of both and you will make either one look like a million bucks! Have fun! You mean you're not using the floral lamp the way it is? Ha! I think either one will work and i can't wait to see it in the room! 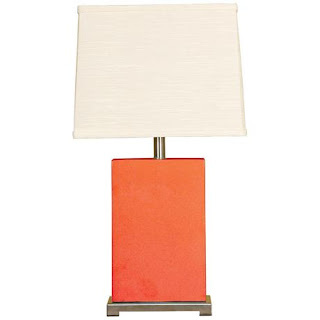 How fun to find lamps and be able to envision them in a chic space. I love that Genie lamp in turquoise. Great finds! The question is, can your client see past the gorgeous floral and trust you to work your magic? Hope so! LOVE that genie shaped lamp! it will look awesome in any fun color! Great lamps just itching for a "Pam-over" Can't wait to see what you do! You are a Goodwill ninja. Another couple of great scores! My vote goes to Genie! What a deal! Love the genie! I love them both. I know you or a client could find a spot for each of them. I love lamps for their decorative shape with a pop of color, and also love the ambience of lamp light. I have painted wooden lamps as well as some of the shiney brass lamps. What is your technique for the shiney glass or shiney ceramic ones like you showed here? Seems like it would be hard for the paint to adhere. Do you use a special spray paint formulated for glass, or do you use a primer (if so, which one?). Love finding out how you experienced DIYers do things so I can do it right the first time! Thank you! I love both of them. You are simply the best shopper. 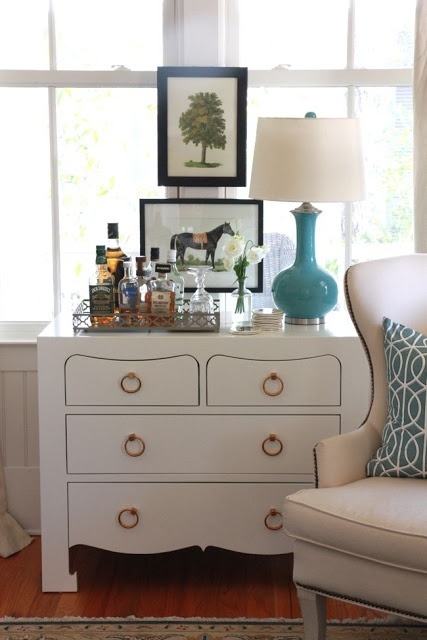 I love that little mini bar idea! .. the Genie shaped lamps are so fun. Great buy Pam! I really like the genie lamp for a dinning room. I guess it would depend on the type of decor. 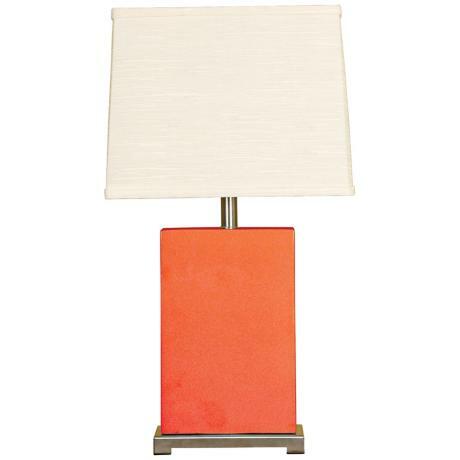 My brother in law loves the outdoors so his rustic decor for dinning room would go more with the square base lamp. I can't wait to see which one is chosen and the change of color. Can't wait to see what you decide. I love the turquoise genie lamp. In fact, I have a pair of the exact same ones as Seleta that I use on my bedside tables..... scored them at Homegoods a few years back. I like both of those! 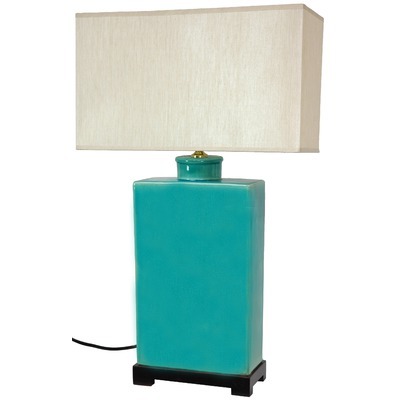 I really need to try to create a spot of two for some fun lamps! I just discovered your blog as it was linked from FineCraftGuild and showcased your hand painted rug project. So now I've spent ages looking back at all your old posts and have bookmarked your site as one of my faves :) You have a beautiful eye for design and are very clever and creative to come up with some of the projects you have done. I cannot even come close I'm sure but you have sparked a few ideas! I'm off to the fabric store tomorrow and on a mission to make some cushion covers. I really think you should use the flowered one as is! :) Both are great buys...will be anxious to see what you do with them. I love the bar idea too! Love your finds. I can't pass up a good lamp at Goodwill. Looking forward to seeing which one your client chooses. They're both winners. 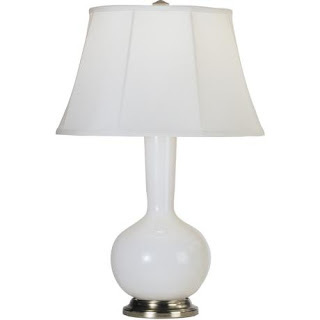 The only lamps I ever find from GW are those old scrolly iron lamps from someplace like Pier One.....score for you!